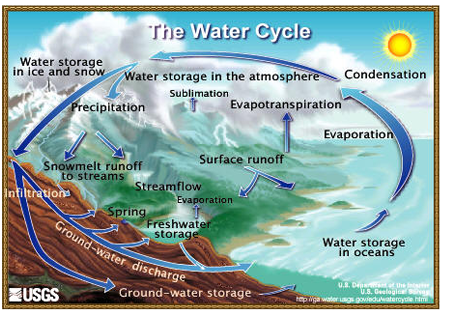 The Water Cycle also known as the Hydrologic Cycle is the evaporation of water, mainly from the oceans to form clouds which are blown by the wind over land where it falls as rain and runs back into the oceans via rivers as shown in the schematic provided by the US Geological Survey. The Water Cycle appears to be quite straight forward and easy to understand now, but it was not always so. 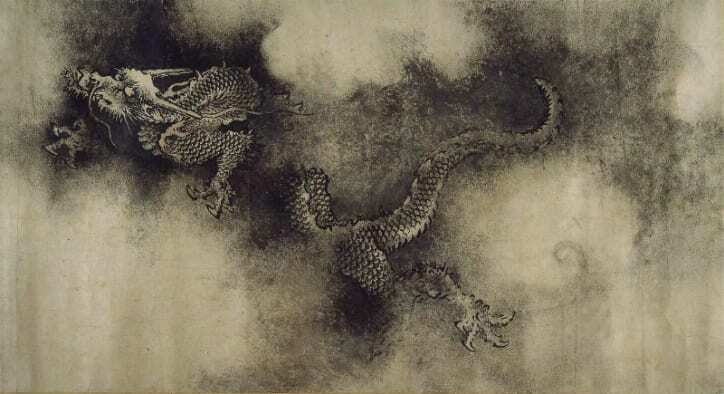 The ancient Chinese believed a dragon king controlled the rain, water, typhoons and floods. And in time of drought or floods the people would offer sacrifices and conduct other religious rites to appease the dragon king. The Australian aborigines believed that the Rainbow Serpent was responsible for regenerating rain and also for storms and floods when it acts as an agent of punishment against those who transgress the law or upset it in any way. Ron Neller writes in Creation: The ancient Greeks had quite different ideas about the water cycle. Thales of Miletus (late 7th – early 6th century BC) believed streams and rivers emerged from a vast subterranean freshwater lake, connected to the surface of the world by chasms. Water then flowed out via surface springs into the rivers of the world. The mechanisms proposed by the Greeks although more scientific than ancient myths, did not explain how the water moved from the sea back to the source of the rivers and why the oceans were not filling up. Around the year 1500, Leonardo da Vinci proclaimed on the basis of field observations that the water in rivers came from precipitation (rain), but again failed to explain how the clouds were formed. In the seventeenth century, the modern scientific approach to studying the water cycle was initiated by the Frenchmen Pierre Perault and Edme Marriotte. By the 1670’s and 1680’s, they had published data and calculations that supported the contention that rain is the precursor to stream flow. In 1700, Edmond Halley, an English scientist added to the work of Perault and Marriotte and showed that the evaporation of water from the Mediterranean Sea was sufficient to allow for the outflow of rivers running into the sea. And so the water cycle was finally understood. He draws up the drops of water which distils as rain to the streams; the clouds pour down their moisture and abundant showers fall on mankind. 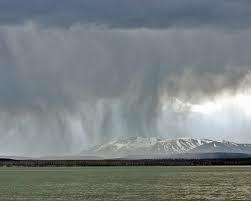 Here Job provides the major elements of the water cycle; that water evaporates, to form clouds which then fall as rain which runs into the streams. The narrative implies that the streams take the water back to the oceans since all streams eventually flow into the sea, something that was not understood even in da Vinci’s time. All the streams flow into the sea, yet the sea is never full. To the place the streams come from, there they return again. As the rain and the snow come down from heaven, and do not return to it without watering the earth. Implicit in this statement is that the rain water will return back to rain again and the cycle will be repeated. Again, this is all part of the water cycle as shown in the schematic above. …..[He] who calls for the waters of the sea and pours them out over the face of the land. Amos says that God takes the waters of the sea and pours them over the land which is again a major part of the water cycle. Creation, 2016, 38(2), pages 18-19.